Every Christmas, Wren is chased through the woods near her isolated village by her family's enemies—the Judges—and there’s nothing that she can do to stop it. Once her people, the Augurs, controlled a powerful magic. But now that power lies with the Judges, who are set on destroying her kind for good. 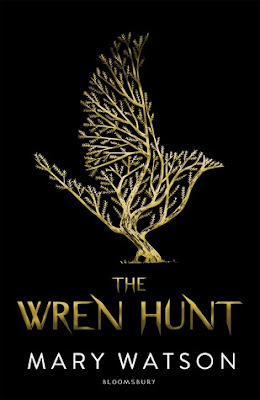 The Wren Hunt has the creepily weird, draw you in quality. It was kind of that unexpected book that I turned out to love. I really enjoyed the story and the characters. Especially all of the strange and unusual lore. I really found the world of magic interesting in the story. There are three lines...the Judges, the Augurs and the Bards but it’s believed that the Bards are wiped out. Each sets of the these lines draw power from different things and utilize those powers in different ways. I actually found the Judges most interesting since they draw mostly from natures. The trees, plants and so forth. I also loved the old lore that is also woven in. I really didn’t like Wren’s Augur family. I felt like they kept putting her in situations without giving her all the facts. They also all kind of seemed selfish to me but I don’t know maybe I was reading them wrong. They just kind of bothered me and I felt she could go live off in a cottage by herself and do her own thing. I guess that’s not really how being part of a Grove works. They kept secrets and when she would find out they would act like oh ya sorry about that. Just something that majorly impacts your life. They super bugged me. I feel like about halfway through the book is when there is change. A change in Wren as well as the people around her and things start getting really weird. We finally start getting a better picture of Arabella and the traditions of both the Augurs and Judges. It’s really interesting to watch the story evolve the way it did. I definitely could not put it down. So many great characters but of course I was most interested in Wren, Tarc and Cassa. Wren is kind of this person that doesn’t necessarily fit in perfectly anywhere. Kind of like a peg in a square hole. Whether it being that she has very different Augur powers from the rest or the fact that her mother is MIA and she doesn’t know about her father. I think of her kind of like a blowing seed trying to find a place to root. So when she meets Tarc it seems like their chemistry as friends and more almost makes no sense and perfect sense. They are different sides of the coin but manage to find common ground. I loved seeing them together. I also really liked her interactions with Cassa. As strange as they sometimes might be. Each time Wren spoke to her, you could tell that she is more observant and sharper than she might even get credit for. Of course she is the head of Harkness House. I just thought she was super interesting. 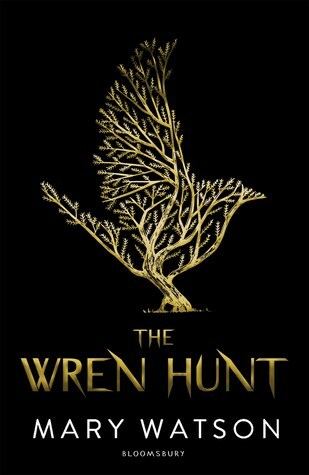 I truly loved The Wren Hunt and it caught me in it’s snare. Even though it left me in a good spot I still need more.